Over the years there has been a lot of changes going on in the scuba diving business. 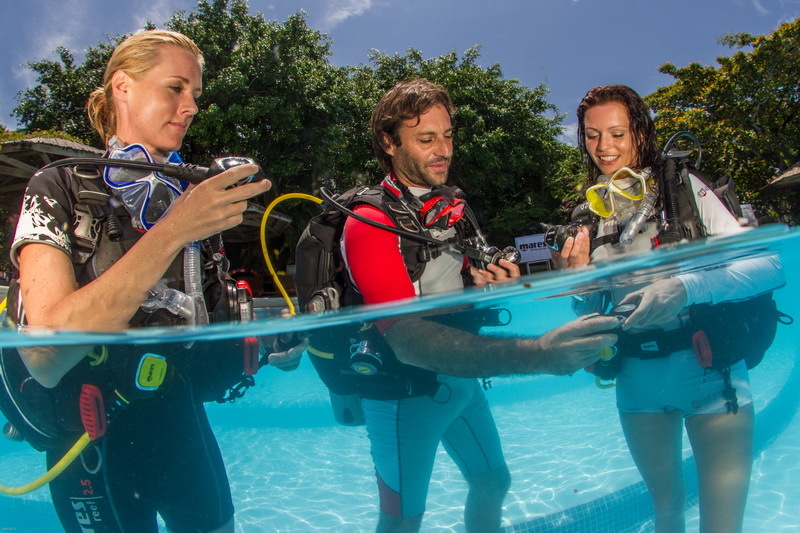 Continued growth in the industry involves attracting new customers and keeping certified divers interested and active. It involves a continuing upgrade of services not only in retail and education, but also in the resort and hospitality sector. Although there are many aspects of scuba diving that are different from other businesses, the basics of business still apply. The art of winning new customers and keeping existing customers is still paramount for a successful business. 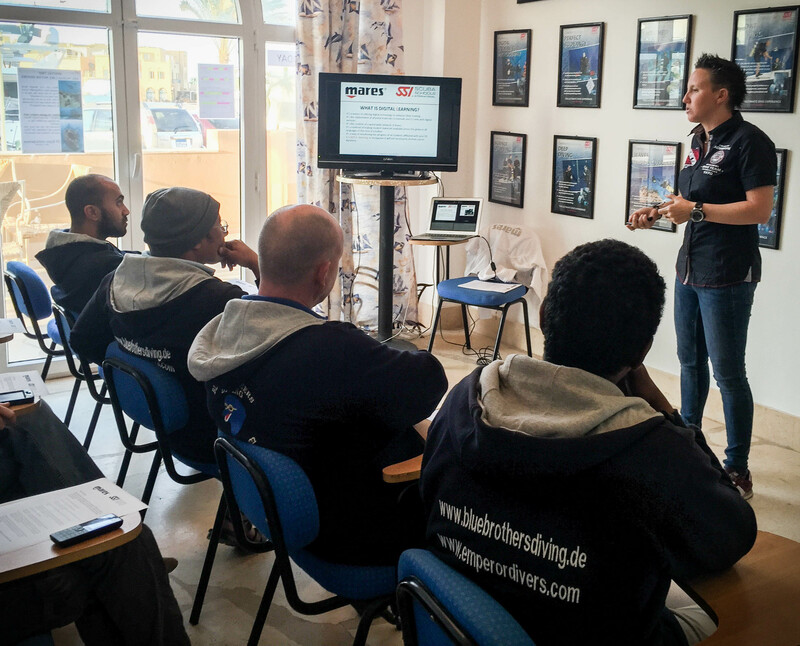 Behind the diving operators the training agencies and the manufactures are a team of individuals whole sole purpose is to market the scuba diving industry to the worldwide community. Their primary goal is to attract the audience, to sell them the desire to sign up and learn this physical activity of Scuba Diving. The scuba diving industries, as well as many others (including the hospitality business) to me, in my opinion, have a lack of perspective. For instance, hotel web sites are aimed to advertise the greatness of their facilities, but there is usually very little information about the quality of services. In comparison most scuba diving sites that I have looked at aim their information on how good their services are, but not why they are so good; they use many generic words to describe the key places to visit but not why they are so beautiful, unique or special. They claim their centre and their instructors are the best, yet fail to say how or why. Now, as to the accuracy of those numbers I cannot possibly comment as I have no access to official data but lets use the number to give us a general idea. Apparently 66% of the scuba divers all over the world are male and 34% of the scuba divers all over the world are female. (We will look a bit more into that further on) We know that customer retention is vital for a financially successful company to exist but what I want to examine is how many customers do dive centers manage to enroll in an entry level course through the powers of marketing only to find that they drop out before completion of that course?! I want to examine immediate retention, not long term retention. Dive centers or clubs that focus on sales only and neglect customer service may bring in lots of new members, but if the students are not satisfied during training, there is a high chance of drop out and the dive Centre’s low retention rates may be chipping away at their bank balance. According to some reports, it costs two-and-a-half times more to recruit a new member as it does to retain an existing member. Dive Centre employees need to work together as a team to minimize attrition and maximize immediate retention. As many of you might know my university training before I entered into the scuba diving industry was within the Sports science, coaching and Teaching realm. I don’t pretend to have a master’s degree in this area or any PhD, and I have never written any professional papers on such topics, but my base knowledge combined with 15 years of actual teaching scuba diving has taught me quite a lot! What I can tell you is that the majority of the population learn most efficiently in a non-stressful environment. Excessive stress caused by an over emphasis on successful performance and negative orientated feedback frequently results in lowering of self-esteem and severely hinders the learning process. Juniors especially find activities stressful when they perceive they will not be able to adequately respond to the demands of the others in a group, and therefore risk a negative social evaluation of their ability. If exposed to a stressful environment overtime anxiety, fear of failure and inadequacy will increase leading to dropout. But how can that be relevant in the scuba diving world? Surely, this is not an issue because the customers, lets not forget, are paying customers and so would never be the subject to negative feedback by their instructor or made to feel in any way uncomfortable or incapable. Right? Secondary, this is not a competitive environment; there are no teams, no winners or losers. Right? A diver, who repeatedly cannot clear their mask, will consider himself or herself to be a loser if everybody else in their group has managed to successfully complete the skill. A student who has completed a skill easily may begin to get bored and irritated by other members of the group who take longer to learn. This can result in abusive comments and an undesirable pressure put upon the rest of the group. An Instructor who is becoming irritated with a junior diver as the instructor does not know how to hold the attention of the younger mind with begin to show anger and lose their calm. The Professional Association of Diving Instructors (PADI) claim as of 2015 it has a membership of over 136,000 professional individuals. I wonder how many of those professional individuals have ever had any official training in teaching, coaching, skill acquisition, or psychology outside of what they were taught in their 10 day Instructor Development Course. (Please note at this point, that this is not about any one agency, this is about the scuba diving professional levels as a whole) I wonder how many of those professional individuals know the difference between intrinsic and extrinsic motivations of students? I wonder how many of those professional individuals understand why you must change the way you teach to an introvert in comparison to an extrovert? Through my background I was able to learn about such areas and how to deal with such variations in teaching. I do not write this trying to persuade you that I am the best teacher, far from it, but what I do want you to understand is that my background has given me a huge advantage when in the teaching environment. This advantage, this knowledge, many Scuba Diving Instructors do not have. Based on that, how can we expect the instructors to be able to deal with so many different group dynamics, personalities, Egos, gender, age variances and combine that with learning an activity in this alien underwater environment. That’s a tough job! I personally feel that during Instructor training their should be at minimum some time spent on the psychology of learning, to at least give these new instructors more of an awareness of what to expect. I can tell you that there are some amazing instructors out there, who had not had any formal teaching training but are absolutely phenomenal instructors who their students keep returning back to them time and time again. 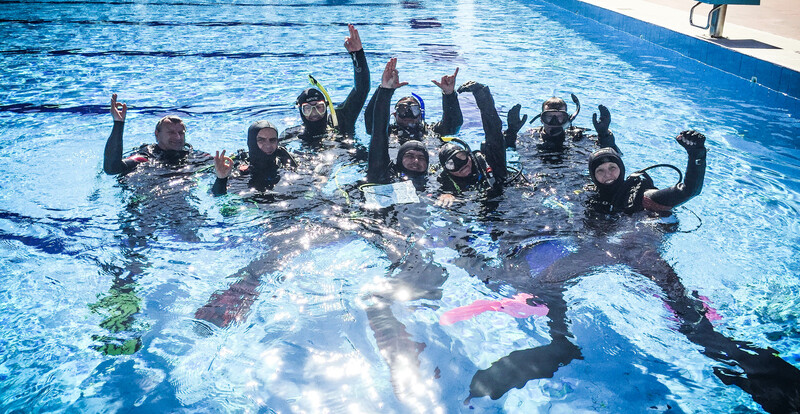 Likewise I can also tell you that there are some instructors who have reached such a professional level based on their personal performance and scuba diving ability, but really they should not in the teaching environment with customers. The key attributes of the Scuba Diving Instructor; patience, persistence, compassion, organization, and empathy to name a few being sorely missing. There are two main goal orientations, mastery orientation and ego orientation. Within a group of individuals learning to dive you may very well get a mixture of such Ego’s. It is the tough role of the Instructor to then try to balance that out and to have control to prevent any unwanted transfer of negativities from one student to the next. It’s quite possible that the students who have Mastery orientation feel pressurized and stressed by the Ego orientated individuals. This can cause tension and distraction from the actual skills practice. In examining the Ego motivations we have only scraped the surface of the psychology of learning and I can sit here and write thousands more pages on so many more concepts of skill acquisition and performance development but I wont. I just want to give you the understanding that the teaching world is complex and there is no “one way” to teach. seem to naturally embrace – taking part in an activity not just to be successful but to have fun, is the complete opposite of the Ego orientated individual. Maybe in such conflicted environments the female will then decide to “Opt out” rather than endure if the perception of fun is no longer present. Could that partly help us understand the ratio difference of males and females taking part in scuba diving activities? Studies also confirm what women tend to suffer an increased crisis in confidence and larger drop in self-esteem in non-mastery motivational teaching environments. As a result, females are more likely to quit the activity in comparison to their male counterparts because they do not view themselves as being not good enough. By understanding the principles of reinforcement, effective communication and positive feedback Instructors will be able to create a mastery motivational teaching environment. Adults and children alike in this type of environment are more competent when learning new skills, show greater persistence and performance improvement, they have less fear of making mistakes, display greater sportsmanship, enjoyment and have lower levels of tension and worry about performance. If the experience is positive, the student will likely continue participating. 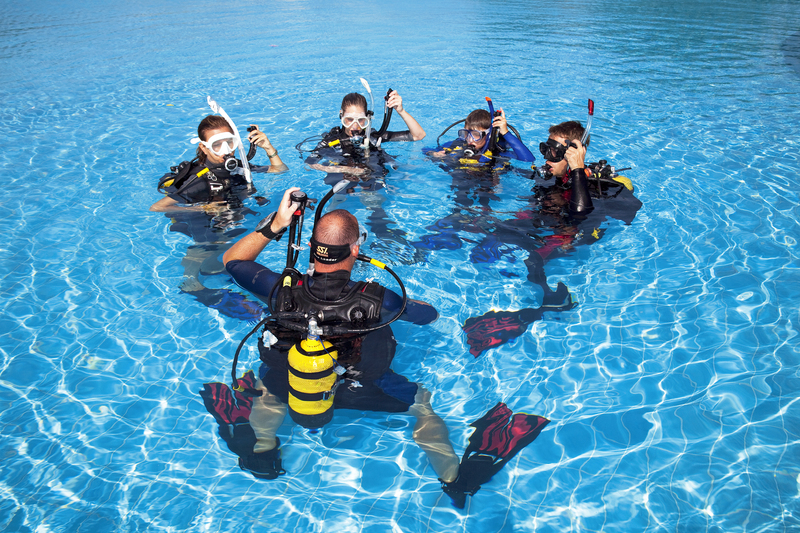 If the experience is negative, the student may drop out, and lose interest completely in scuba diving. That student is now lost forever. If becoming a scuba diving instructor is a pathway that you are looking to head down then I would like to suggest a few things to you. Firstly, be selective not only of where you make your Instructor Training Course (ITC) but more importantly who is running the course; the Instructor Trainer (IT). Feel free to ask the IT what is their background, how much time will be spent discussing the psychology of learning during your ITC, how much time will be spent on customer retention and the methods in how you can achieve this. This is what will enhance your teaching ability over other instructors. My next piece of advice is to read. There are many very good sources of information on the Internet with regards to teaching styles and techniques. Try these styles out with your students and see what a difference it makes. Of course learn and take note from your peers around you. Look, listen and see how other instructors are teaching. I don’t want you to copy them, no way, you are your own individual personality, but maybe take some features from one instructor that you like, combine it with other styles from a different instructor and create your own personal style. If you manage to achieve this, your students will keep returning to you over and over again. And finally stay passionate, enjoy being the teacher, make a difference to somebodies life.